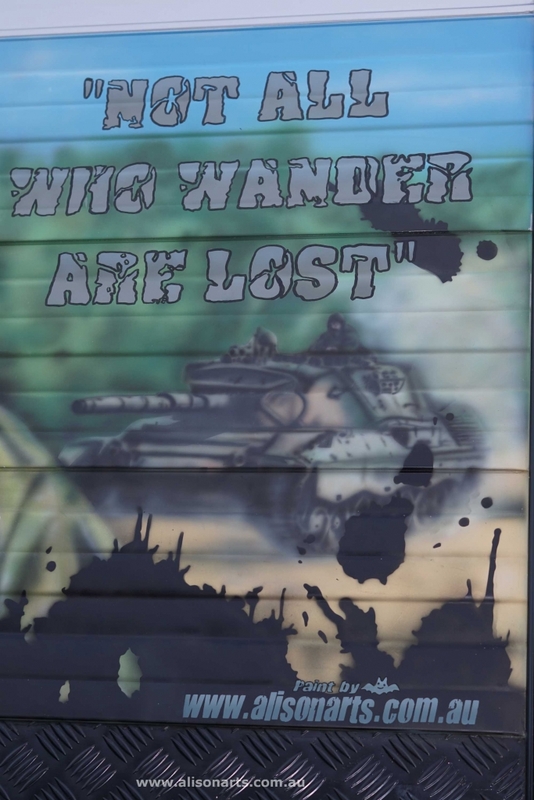 Custom airbrushed caravan from Alison Arts custom paint and airbrushing. 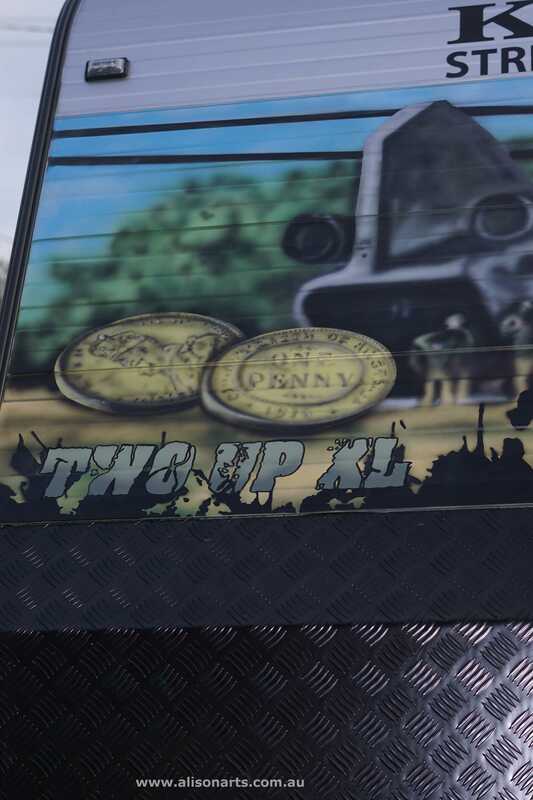 If you thought airbrushing was just for your motorcycle, helmet or guitar, think again! 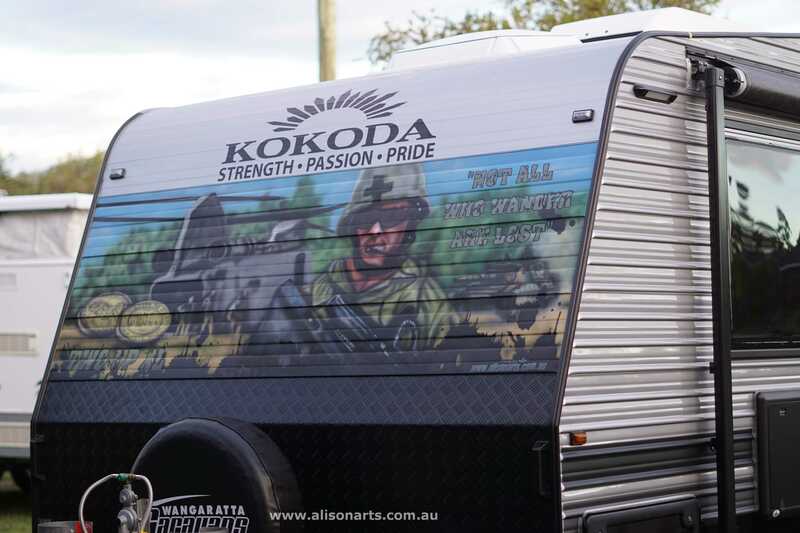 Alison Arts recently airbrushed a Kokoda Caravan. 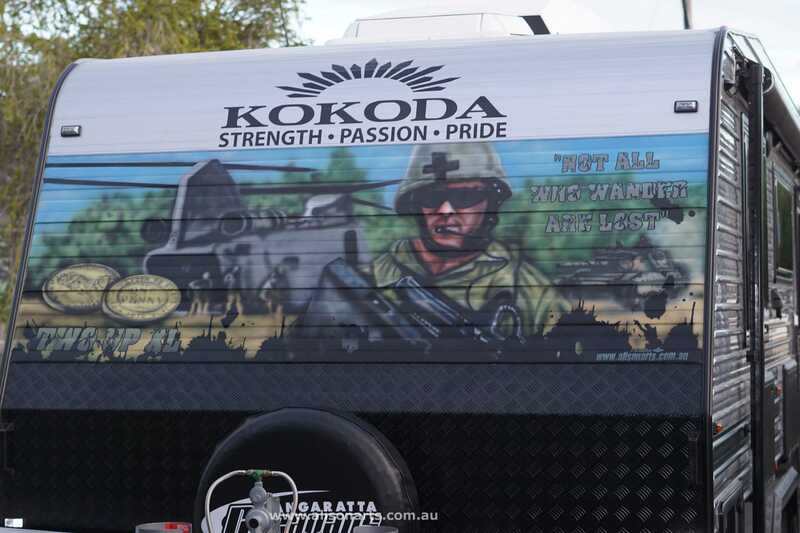 The Kokoda caravan was a Two Up XL model caravan. 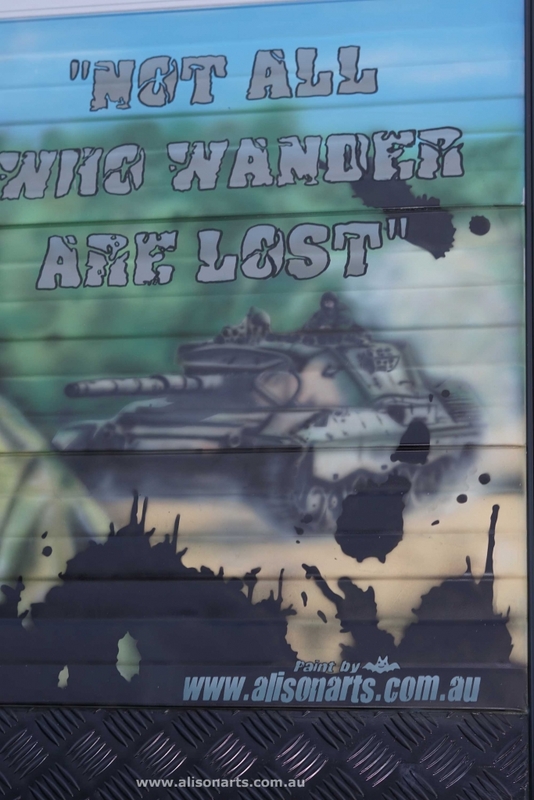 We airbrushed an Australian Army themed mural to the front of it for a couple of happy caravan lovers, it took a few days but it was totally worth the effort, giving the van a totally custom one of a kind paint job. If you see them on the road give them a toot! 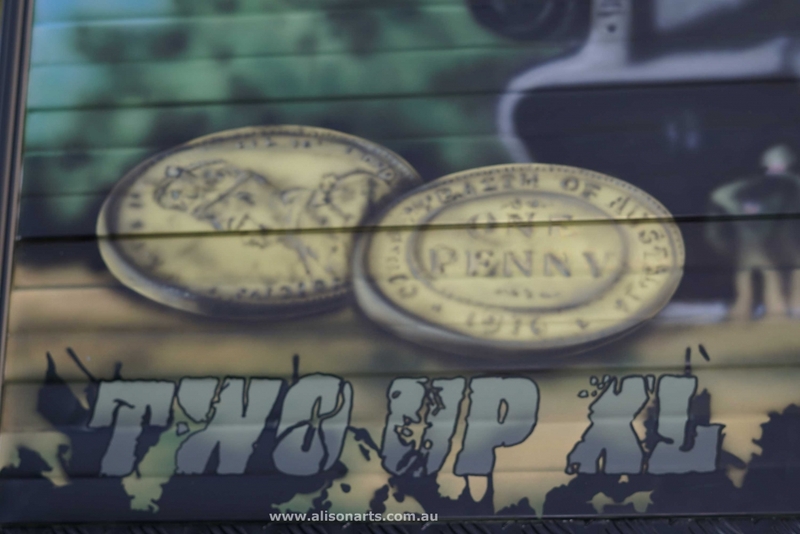 The Australian army even heard about this one and contacted Ross, the owner of the van! Give us a call or contact us on our website to customise your mobile home, van or caravan.